In a previous post, I described Big Data as containing certain criteria: Volume, Velocity and Structure (probably worth revising to Variety as that is now more commonly used). While Hadoop is currently the primary choice for analytics on Big Data, it is not necessarily designed to handle velocity. That is where Storm comes in. Hadoop is designed to operate in batch mode: its strength is in consolidating a lot of data, applying operations on the data in a massively parallel way and reducing the results to a file. Since this is a batch job, it has a defined beginning and a defined end. But what about data that is continuous and needs to be processed in real time? Given the popularity of Hadoop, several open source projects have risen to meet this challenge. Most notably, HBase is the project that is designed to work with Hadoop and provide for storing large quantities of sparse data leveraging the Hadoop Distributed File System (HDFS). Storm is relatively new but has been adopted by several companies, most notably Twitter (obviously), Groupon and Alibaba. You’ll notice that even though these companies are in different industries, they all have to deal with large amounts of streaming data. Storm integrates with queuing systems (like Kestrel or JMS) and then writes results to a database. It is designed to be massively scalable, processing very high throughputs of messages with very low latency. It is also fault-tolerant so if any workers or nodes in a cluster die, then are automatically restarted. This gives it the ability to guarantee data processing – since it can track lineage, it will know if data isn’t processed and can make sure that it does. Since Storm has no concept of storage, you will need to store the results in another system (like a database or another application). Bolts – this is the primitive that takes the data and does the actual processing (like filtering, joining, functions, etc.). This is similar to the part of the Map Reduce WordCount example that is summing the count of words. 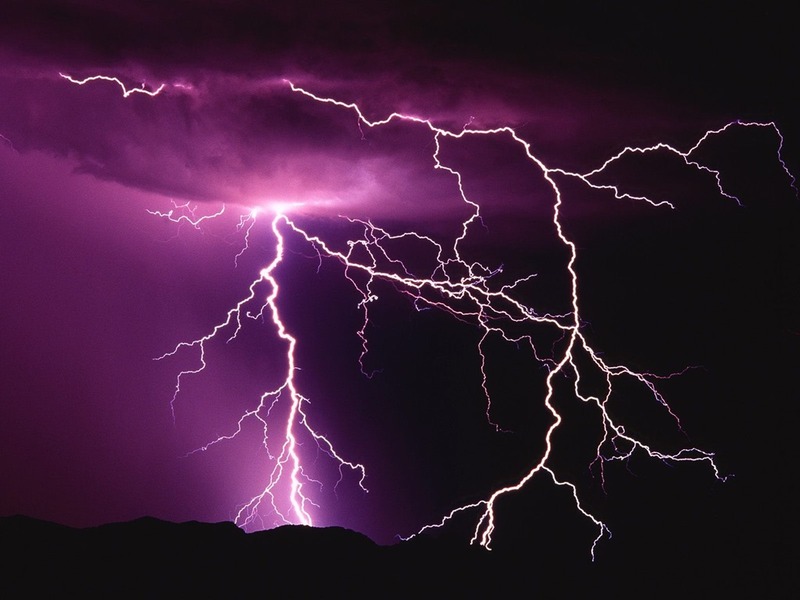 Since Storm is intended to run in a highly distributed fashion – it is also a natural fit for the cloud. 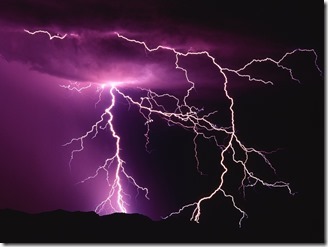 In fact, there is a project that makes it easy to deploy a Storm cluster on AWS. As an open source project, it can run on any Linux machine and works well with servers that can be horizontally scaled. If you want to learn more technical details regarding this project, check out the excellent wiki on Github, where you can also download the latest version. This entry was posted in Amazon Web Services, Analysis, Big Data, Cloud Computing and tagged analytics, big data, cloud, open-source, real-time, Storm, Streaming on June 5, 2013 by Rupert Tagnipes. Not only do people often confuse what exactly the term “Big Data” means, but the dizzying array of products that are out there that solve for Big Data problems add to the confusion. So what’s the difference between Hadoop, Cassandra, EMR, Big Query or Riak? To deal with this type of data, Big Data solutions have been developed. One of the most well known is Hadoop. It was first developed by Doug Cutting after reading how Google implemented their distributed file system and Map Reduce functionality. As such, it is not a database but a framework that implements the Hadoop Distributed File System (HDFS) and Map Reduce. There are several distributions of this open-source product – Cloudera, Hortonworks and MapR being the most well-known. Amazon Elastic Map Reduce (EMR) is a cloud-based platform-as-a-service implementation of Hadoop. Instead of installing the distribution in your data center, you configure the jobs using Amazon’s platform. One of the weaknesses of Hadoop is its job oriented nature. Map Reduce is designed to be a batch process so there is a significant penalty is waiting for the job to start up and complete. It is typically not a strong candidate for real-time analysis. It also has the challenge of having a master node that is a single point of failure. Recently, Cloudera has released their latest distribution that implements a failover master node but this is unique to their distribution. Additionally, developers typically use Java (although other languages are supported) and not SQL to create Map Reduce jobs. Amazon wrote a paper on how to implement a key value store and Cassandra and Riak are implementations of that key value store construct. Amazon also has their own implementation called Dynamo DB. These solutions are typically also clustered in a ring formation with no particular node marked as a master and thus so single point of failure. Customer will typically not use these solutions if they require complex ad-hoc querying or heavy analytics. 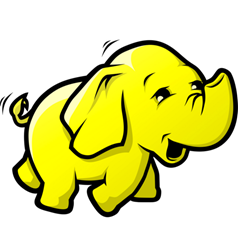 As with Hadoop, building queries here require using a programming language like Java or Erlang and not SQL. There is also a project called HBase which provides similar columnar data store functionality for data on Hadoop so that is another option that is available. This project was modeled after Google Big Table and not Dynamo. No, this is not a power tool but a technology implemented by Google in a recent research paper. In order to understand this product, you need to be familiar with Hive and Pig since they are often compared. As noted above, Hadoop has two main challenges – that the jobs have a start-up lag and that Java (or some other programming language) is required to write and implement MapReduce. Hive and Pig are open-source projects that sit on top of Hadoop and allow for users to implement SQL (in the case of Hive) or a scripting language (in the case of Pig by writing Pig Latin) to query data. Note that since this is a layer above Hadoop, MapReduce code is still being written and executed. It just translates SQL or Pig Latin into MapReduce code. This does solve for the case of being able to write queries against Hadoop but does not solve the latency problem. This is what Dremel attempts to do. Dremel is designed to allow users to write almost real-time, interfactive and ad-hoc queries against a large data set. Because it uses its own query execution engine and doesn’t rely on MapReduce, this attempts to solve for the Hadoop latency problem. However, in its current implementation, it is purely an analysis tool since it is only read-only and organizes data in a columnar format. While there is an open-source project for this product, it is also currently commercially available as Google Big Query. As you can see, there are a lot of products out there that all solve for Big Data problems in the different ways. It’s important to understand your use case and see which product is a best fit – it’s unlikely that you can find one that solves for the universe of Big Data problems. In addition, it is likely that you will still need to use a traditional relational database if you need to do reporting or interface with an enterprise application. Out of all the projects, Hadoop has the largest ecosystem with other supporting projects that broadens the functionality of the core product. As mentioned earlier, Hive is used to write SQL queries; there is also Sqoop that integrates relational data and HBase that provides low-latency capabilities. Fortunately, the majority of these projects are open-source so you only need to learn how to use them and find a cost-effective platform to implement it – like the cloud, a natural fit for distributed databases and NoSQL projects. This entry was posted in Amazon Web Services, Analysis, Big Data, Business Intelligence, Cloud Computing, Databases, Dynamo DB, Riak and tagged analytics, big data, cassandra, cloud, dremel, emr, google, hadoop, riak on July 12, 2012 by Rupert Tagnipes. This is an article that I wrote recently that was published in the Cloud Computing Journal. While 2011 may have been the year of the cloud, 2012 is proving to be the year that Big Data breaks through in a big way. I discuss a brief history of Big Data and go into a little more detail as to why I think the cloud and Big Data are a natural fit. The key is ensuring that the right architecture is available to support the performance needs of Big Data applications. Click on the link below to get the full article. The Big Data Revolution — For many years, companies collected data from various sources that often found its way into relational databases like Oracle and MySQL. However, the rise of the Internet, Web 2.0, and recently social media began an enormous increase in the amount of data created as well as in the type of data. No longer was data relegated to types that easily fit into standard data fields. Instead, it now came in the form of photos, geographic information, chats, Twitter feeds, and emails. The age of Big Data is upon us. A study by IDC titled “The Digital Universe Decade” projects a 45-fold increase in annual data by 2020. In 2010, the amount of digital information was 1.2 zettabytes (1 zettabyte equals 1 trillion gigabytes). To put that in perspective, the equivalent of 1.2 zettabytes is a full-length episode of “24” running continuously for 125 million years, according to IDC. That’s a lot of data. More important, this data has to go somewhere, and IDC’s report projects that by 2020, more than one-third of all digital information created annually will either live in or pass through the cloud. With all this data being created, the challenge will be how to collect, store, and analyze what it means. This entry was posted in Big Data, Business Intelligence, Cloud Computing and tagged analytics, big data, cloud, large data sets on June 16, 2012 by Rupert Tagnipes. In a previous post, I discussed the explosion of data due to the growth in compute power coupled with the advent of Web 2.0 and social networks. However, this is not the only source of new and interesting data. Not only do people generate and contribute data via check-ins and tweets, they generate data by simply going about their everyday lives. Until recently, there was no way to capture that information easily. However, new gadgets have arrived that contribute to Big Data – however, this is data captured from human activity. The ones that are out currently are the Nike+ Fuelband, the Jawbone Up, and the Fitibit Ultra. They are all essentially pedometers on steroids – a fun way to track your activity throughout the day and integrate it with a web dashboard and your social networks. These differ from the more serious Nike+ Sportswatch or the Garmin Forerunner that include GPS and are designed for serious athletes. What the more life-style oriented devices are intended for are a low-cost way to track daily activity throughout the day as well as sleep efficiency at night. The idea is that if you can collect data of your various activities throughout the day, you will have data points from which to make a better health plan or plan for a certain goal. They are also typically tied to other apps or websites where you can track food consumption in order to have a fuller picture of caloric gains and losses. While the intent is to improve health, this trend towards tracking gadgets for casual use is interesting since it generates data that pertains to a specific individual. You will now have a way of tracking over time very detailed information about your activities, habits, and sleep cycles. Successful companies have long used metrics to drive decisions and improve performance and efficiency. The tools are now starting to filter down to individual to take advantage of analytics to improve their lives. 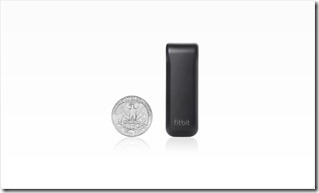 While all three trackers have their metrics, the one that I have been testing is the Fitbit Ultra. I integrate it with MyFitnessPal since it has a superior food tracking database and a better mobile app. The product is easy enough to setup and it tracks things like steps taken during the day, floors climbed, and of course calories burned. It’s all interesting information that you can take to determine your current activity levels and give you insight on if you should make changes in order to meet your goals. There are some pre-set goals like achieving 10,000 steps in a week, but you can modify them to your liking. The amount of data collected is astonishing but the real power is not in the point-in-time snapshot of activity but rather the accumulation of data over time to determine patterns and the integration with mobile and other apps (in particular, through the Fitbit API). You may see things like your activity drops significantly on days after you have low “sleep efficiency” (this is a metric that Fitbit uses to determine how much sleep you obtain during the night without waking up). Or you realize that you workout routine isn’t active enough to offset your time in front of a computer. Sadly, I determined that most of my day was sedentary since I spend most of my time at work behind a desk. The integration is also key since it increases the amount of quality data that you can collect, for example caloric intake in the case of MyFitnessPal. Integration with mobile apps also insures that you always have a mechanism for recording data that the Fitbit does not since most people carry their smart phone with them everywhere. All these website also include the requisite integration with social network like Facebook and Twitter. Although I believe that goals are best achieved when announced and through the support of friends, it does seem a bit creepy to be announcing when you go to bed and wake up and how many calories you consumed that day. Corporations aren’t the only ones who can benefit from better data collection and analysis methods. Personal activity trackers now give the power of automated data collection and analysis to consumers. The websites even follow the Metrics Driven Management technique of a dashboard that displays all your pertinent metrics with the ability to drill-down for additional details. Data is now everywhere, even in your every day activities. Companies are now using data collection techniques and business intelligence technology to bring analysis to all aspects of our lives. This entry was posted in Big Data, Business Intelligence, Reporting, Social Networks and tagged analytics, data, Fitbit, personal activity tracker on April 3, 2012 by Rupert Tagnipes. What does the Web’s hottest social network hold for data analytics? Pinterest recently broke 11 million users this year. It was reportedly the fastest social network to reach 10 million unique users since its launch of closed beta in March 2010. However, that is somewhat in dispute, with many claiming that Formspring is still holds that title. Either way, there is no debate that Pinterest is growing at a phenomenal rate. Since Pinterest headquarters is just down the Peninsula, I caught on to this site relatively early. However, a recent dinner with some out-of-town colleagues reminded me that not everyone obsessively follows startup news like I do. Pinterest is a social network that links people together by their interests rather than their social circle. So unlike Facebook, which resolves around your friends, on Pinterest people express themselves and find friends through common interests. Another twist is that this is done via a metaphor of a pin board. Users “pin” photos that they find on site, from around the web, or uploaded directly to the site onto user-created “boards”. Users have boards to organize their pins into categories like “Travel” or “Humor”. Since Pinterest is picture based, visual-type content show far better. Infographics, for example, are far more represented there than articles (some of which have no pictures to even pin). Brands are starting to take notice – Life magazine has a large following, posting mostly archived photos. Retailers are particularly strong here, since most of the items sold there are physical and therefore lends itself well to a pictorial presentation. In fact, Pinterest is driving more referral traffic than Google+, YouTube and Linkedin. Combined. So who is on Pinterest? Modea, a digital advertising agency compiled some demographic information on Pinterest users and the results were quite interesting. On average, users spend 15.8 minutes “pinning” while Facebook users only spend 12.1 minutes liking things. Almost a third of Pinterest users have an annual household income of at least $100,000 and almost 70% are women with the majority aged 25-34. So young, upper-middle class and female – sounds like the demographic that advertisers will want to target. Of course, that is just the is the US. The demographics in the UK are decidedly different – 56% male, 29% in the highest income bracket and interested in venture capital (go figure). However, this doesn’t mean that there aren’t a good mix of interests on Pinterest. The Board of Man which is a board focused on more “manly” interests has 220,000 followers. Even the US Army has gotten into with its own set of boards which is managed by their Chief of Public Affairs. Pinning is fun and all but the real value is the information captured by all those young and wealthy consumers. It’s also capturing a demographic that isn’t as prevalent on most of the social networks (meaning mostly male and on the coasts). Users are specifically stating their interests – in particular things that they covet or plan to purchase. In addition, the content is persistent. Unlike Twitter or Facebook, your pins stay present on the board for you to easily eview again later (and don’t come back from the dead as people discovered during the Facebook switch to Timeline). Retailers are starting to take notice – creating their own pages and engaging with users with interesting content. Pinterest is still in beta so it has some things that I think it needs to add to become more robust. It really needs some sort of robust and standards based API (like REST). This will give websites the ability to better integrate with the social network. It also creates the capability for 3rd parties to start extracting some interesting data. An easier way to find people. It’s all about the interests and not friends but still, it’s impossible to find someone if they aren’t already friends with you on Facebook. Work in some additional content other than photos. While photos really enrich the site, having the ability to have music or text add additional context to the photos would be helpful. In particular, an API in conjunction with other APIs would have the ability for developers to create some interesting apps in combination with Facebook, Twitter or Foursquare. The mash-up of the Facebook social graph with the Pinterest interest graph would be quite interesting. Since the information posted on Pinterest is public by default and generated in real-time, it would be a good indication of the zeitgeist in terms of interests, which would be a welcome addition to the topic trends already occurring on Twitter. This entry was posted in Analysis, Big Data, Business Intelligence, Pinterest, Social Networks and tagged analytics, BI, interest graph on March 3, 2012 by Rupert Tagnipes. By now, we’ve all heard about the Great Cloudburst of 2011. On April 21, Amazon’s Virginia-based data center experienced a huge reduction in service, triggered by what the company called “a networking event” and subsequent “re-mirroring of EBS volumes”. I’ll leave examinations of the cause and response to other websites, and discuss the impact to DASHbay. DASHbay builds and supports data-centric applications, focusing on open source software solutions, and often using cloud deployments. Amazon is our most frequently-used cloud data services provider. At the time of the crash, several of our customers had mission-critical DASHbay-deployed applications running in the cloud. 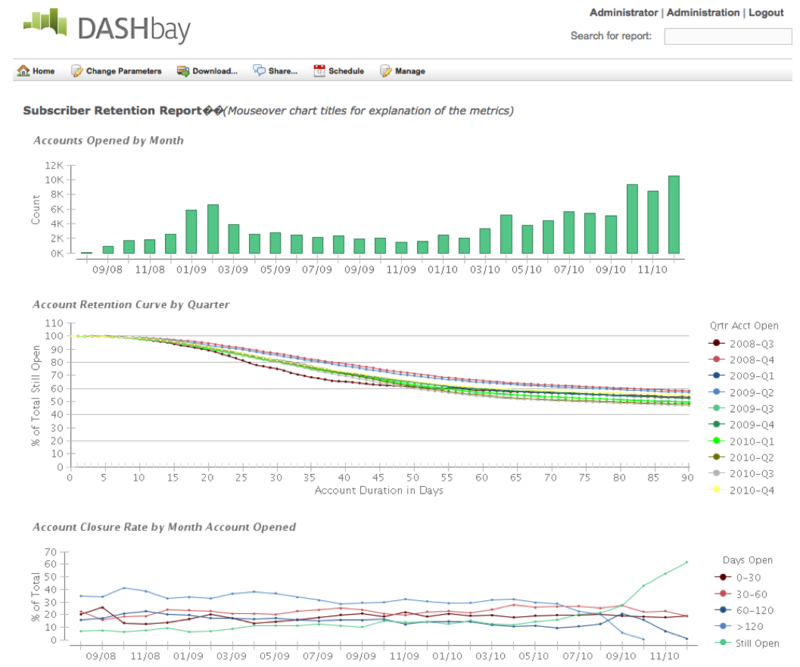 How did those customers fare, and therefore, how did DASHbay fare, since our customers’ problems are our problems? I’m pleased to report that none of our customers were severely impacted by the outage. Here are some case studies of apps we built for clients, and the mitigation strategies that saved our bacon during Amazon’s failure. What’s the message here? I think it’s this: data centers can fail! Design operational processes and real-time architectures with fail-over in mind. We used a variety of approaches, from human-intensive procedures that were nevertheless ready to go, to automated failover. Which risk-mitigation strategies are right for a particular app? That depends on factors such as the volume of data and the tolerable latency of gathering and moving that data. We’re committed to thinking those factors through with our clients, and designing applications and processes with failover in mind. One more important thing: let’s all keep the mindset of learning from mistakes, and if necessary changing architectures and backup procedures to keep our businesses running. This entry was posted in Amazon Web Services, Application Failover and Redundancy, Business Intelligence, Cloud Computing, Reporting on April 24, 2011 by Terry Joyce. There is a new MySQL fork that recently went GA called “Drizzle”. It is written by former developers of MySQL and is open-source. It’s designed to be fast, lightweight and optimized for the cloud. Since databases are a part of every Business Intelligence implementation, I’m going to investigate how easy it is to install, deploy and configure. I built out a VM using Alpha 3 build of Natty Narwhal (Ubuntu 11). Since there is already an Ubuntu package, the deployment went smoothly. As expected, the Alpha build of Ubuntu has some stability issues (for example, the new Unity interface didn’t load until the VM was launched a second time and some random components crashing). However, these do not seem to impact Drizzle. My intent is to give Drizzle a test run by running some code that I wrote for MySQL 5.1 and note the differences. This will be closer to what someone would do if conducting some light SQL development and will not go into more advanced administration such as trying to test its capabilities for massive concurrency or clustered systems. 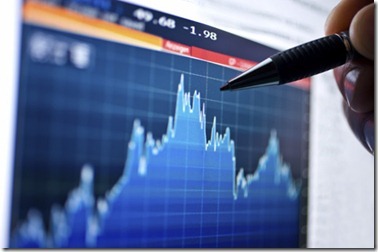 This entry was posted in Business Intelligence, Databases on March 26, 2011 by Rupert Tagnipes. We do a lot of ad-hoc data investigation and analysis around here, and are always on the lookout for tools that make our lives easier. While raw SQL and a database remain a top weapon of choice for getting a sense of a new data set, it leaves a bit to be desired in the presentation department. Plus, a lot of people just aren’t comfortable with SQL and we often need to hand off our work to more businessy types that have more starch in their shirts than comp sci classes under their belts. Wouldn’t it be great to have something like Excel, but it serves more like the front end to multiple databases and DOESN’T cost a bajillion dollars like Tableau? Well there IS such a beast, and the surprise is, it’s Excel itself! Excel 2010 has a free add-on called PowerPivot that addresses many of our longstanding issues with it as a business intelligence tool. We didn’t buy the hype on the scalability, so we tried it for ourselves. Our preliminary test was a 1 million row table, imported from a CSV. PowerPivot made a nice fast pivot table over it, no problem. In addition, workbook on disk was 36MB whereas the raw CSV was 75MB, a 50% reduction in size. We were able to relate in a few other small tables to the pivot table as well with no loss in speed. We were deeply impressed and will be shifting more of our ad-hoc analysis over to Excel. The only downside? It’s only for Windows. No PowerPivot for Excel Mac yet. This test was run on OS X, within a 64 bit Windows 7 Parallels VM given 4GB RAM. Office itself was the 32 bit version. This entry was posted in Analysis, Business Intelligence, Excel, PowerPivot and tagged large data sets, surprising success on March 9, 2011 by Dean Moses.